You can have longer, fuller, thicker and darker upper eyelid lashes as early as 6-8 weeks by just applying Latisse to your lids. Latisse is available by prescription only and available at Maloney Center for Facial Plastic Surgery in Atlanta, GA. The active ingredient in Latisse solution is bimatoprost, a prostaglandin which prolongs the growth cycle of the eyelash. 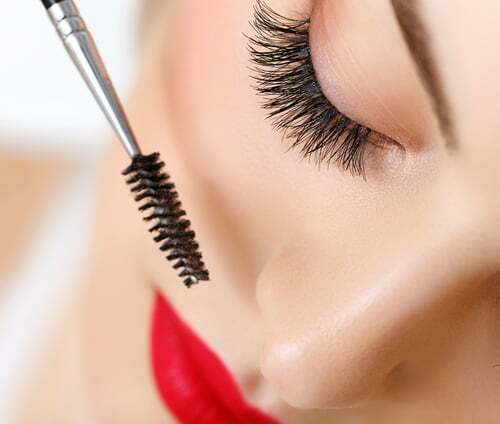 By extending the hair growth cycle, lashes grow longer, more lashes remain present, and the results are natural, not coated as with sticky mascara or glued on as with extensions or false lashes. A once daily application is all that is required. This is done at night after cleaning the face, removing any eye makeup and removing contacts. The solution is applied only to the upper lash line and excess solution is blotted. Because the active ingredient affects all hair, it is important to wipe away solution that drips beyond the lash line to prevent unwanted hair growth. Dr. Brian Maloney will give you all the necessary application instructions at the time of purchase. The effects are seen as early as 6-8 weeks which include increase in lengths, thickness and darkening of the eyelashes. By weeks 8 to 10, most users have a growth “pop” and by 16 weeks, the full effects are in place. Ongoing use of Latisse is required to maintain full results. If you stop using Latisse, your lashes will return to their original condition, although after a full 16 week cycle, some users notice that they can skip 2 to 3 nights per week and still see satisfactory lash fullness and length. Official product use instructions call for every day application. Individual results will vary. The Maloney Center for Facial Plastic Surgery understands that your face is the first thing people notice about you. Dr. Maloney and his staff use their experience, compassion, and artistry to provide personalized care and state-of-the-art facial plastic surgery treatments and procedures to the residents of Atlanta, Sandy Springs, the surrounding communities in Georgia, and patients from around the world for optimal health, aesthetics, and patient satisfaction.